Affordable Housing – House-By-House Labour in Edinburgh is tackling the housing crisis. The affordable housing development at Balmwell Terrace being officially opened by Labour’s Councillor Cammy Day – the 21 homes for social rent include one and two bedroom flats, two-bedroom houses and a two-bedroom flat to meet the needs of a wheelchair user. Like me, I am sure most people in Edinburgh will welcome the news that the empty plot at Fountainbridge will now be developed, creating jobs and homes in the process. However, the vague assertion regarding “affordable housing” in the article warrants further scrutiny. Edinburgh is facing a housing crisis. Our Capital has 1,609 households in temporary accommodation, too much of which is of a very poor standard. Indeed, I found out at a community council meeting last week that the situation is so desperate the Council is actually placing people in Travel Lodges across the city. Since Christmas two rough sleepers died on our streets and we know that in 2015/16 at least 18 homeless people died in Edinburgh. 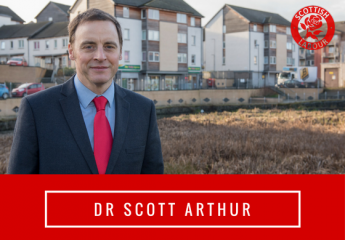 Worst of all, “affordable” houses are being built in Edinburgh which are simply not affordable to the people we rely on most – care workers, nurses and teachers. All of this should shame us. Every time I hear the Council say they plan to build 20,000 affordable homes between 2017 and 2027 I ask myself who can actually afford them and will it help the 21,000 waiting on a council house in Edinburgh? In 2016/17 just 283 of the 1176 (24%) affordable homes built were for social rent. The remainder of the affordable housing built were simply unaffordable for many people. It is either “mid-market rent” (for households earning up to £39k!) or “Low Cost Home Ownership” (this lets people with deposits of up to 75% buy new homes at a modest discount). Labour in Edinburgh has been pushing hard for more of the affordable housing built to be for social rent. We were disappointed that as part of the City Deal our Capital will get not one penny for council housing from the SNP Government and that they also cut funding for affordable housing by £3.2m. Nonetheless, we are winning the argument and hope to see the affordable social housing being built this year hit 430 and in 2020/21 we will build 1043 (see plot below). House-by-house, Labour in Edinburgh is tackling the housing crisis. The excludes 1,500 homes built under the City Deal – 728 Mid-Market Rent & 772 LCHO.